Best Apple Crisp Simple Recipe- Hello everybody, welcome back with ZetiraKitchen! Today I will share about Best Apple Crisp Simple Recipe. 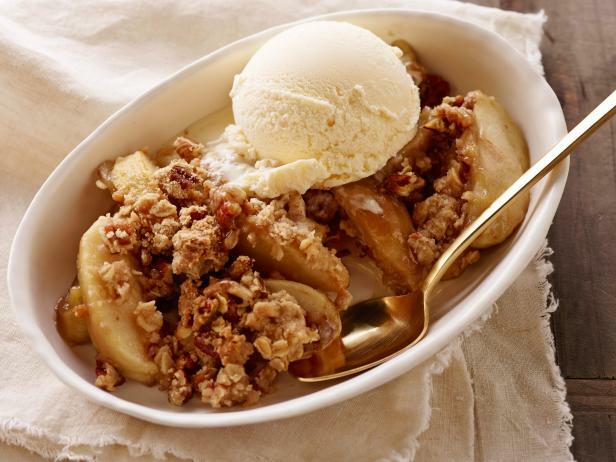 Apple crisp is one of a modern dish. Everyone loves Apple Crisp. A dish from British that has the sweet flavor, easy baked, and, easy ingredients. I'm sure it never failed. many people add a variety of toppings on this menu such as adding berries, ice cream, cream, or custard to add flavor. Can you also vary the topping for Apple Crisp according to your taste.interested to make? Let's start it! Sliced your apple into small pieces. Put the sliced apple in large bowl. Then in another bowl mix the white sugar, 1 tsp flour, and ground cinnamon. Pour the mixture into sliced apple add water evenly over all. Mix the oats, 1 cup flour, brown sugar, baking powder, baking soda, and melted butter together in a bowl. Then pour the crumble on over the apple mixture.